Most experienced bettors love casinos that offer them the chance to play against live dealers. Live games are taking over the betting industry and casinos that offer them are at a higher advantage compared to the rest. Golden lion casino does not allow you to miss out on this opportunity. Find out what more the casino can provide. Blue Media N.V established this casino in 2016. The company works with the Rival gaming software provider to cater to your betting needs. 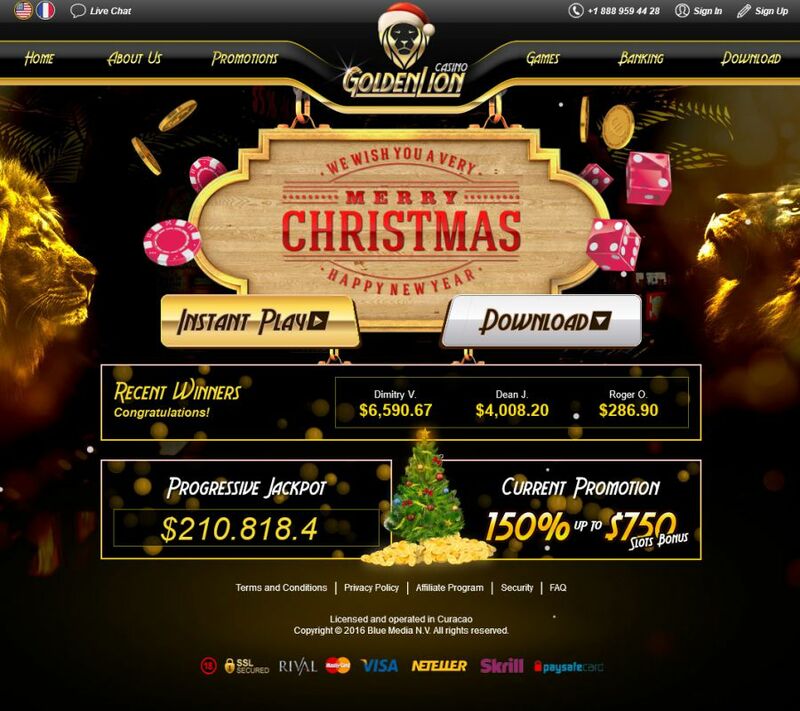 Other providers such as Vivo gaming and Betsoft also power Golden lion casino. They offer numerous games in different categories for you to choose the ideal ones as per your skills. You can also teach yourself how to play new games. The developers give you two options for accessing the games. You can either download the software or choose the instant play platform. These options let you play your favorite games via the web browser. Some of the games available on this casino include video slots and classic games such as three reel and five reel slots, Blackjack, craps, Casino war and baccarat. I-slots are straightforward games that contain interactive features for you to enjoy. The casino also offers progressive jackpots to give you the chance to win substantial cash prizes. One of the limitations of using this casino is that you cannot be sure of the fairness when it comes to the games. It does not conduct independent auditing nor use technologies that facilitate random selection. You can make your deposits through options such as Neteller, Visa, Skrill, Paysafecard, and MasterCard. Choose options such as Skrill, Neteller or Moneybookers to withdraw your wins. Most customers, however, complain that it takes time before they can receive their payments. The maximum withdrawal amount is $ 3,000 within a week. They accept a minimum amount of $ 25. The payment process comes with strict terms and conditions which sometimes discourages some users Bonus terms can also be complicated for new players. Though such limitations exist, Golden lion casino protects customers’ data. They use encryption technology to prevent any third party from accessing your financial details. The mechanism reduces cases of fraud and identity theft. Most online casinos often overlook the importance of customer service. They fail to realize that good customer service is what creates a reputation for the company. Golden Lion Casino values its members and attends to their needs on a personal level. Feel free to reach out to the customer care department through live chat or email. They respond quickly to customers avoiding delays. They also offer a toll-free number which allows you to get instant feedback. The Jurisdiction of Curacao has licensed the casino giving customers additional protection. 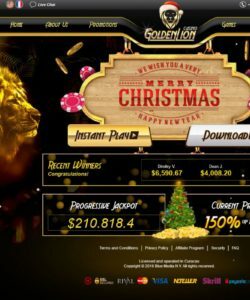 Though Golden lion casino has some limitations, it offers a strong game selection due to the use of various software developers. The site is trustworthy and reliable. They should, however, work on improving the fairness of the games and also reduce delays when it comes to processing payments.